Auvergne ( Occitan: ) is one of the 27 administrative regions of France. It comprises the four departments of Allier, Puy de Dome, Cantal and Haute Loire. Velay, Gevaudan, and Vivarais are often considered to be sub-provinces of the old Languedoc province. Forez is also often considered to be a sub-province of Lyonnais province. 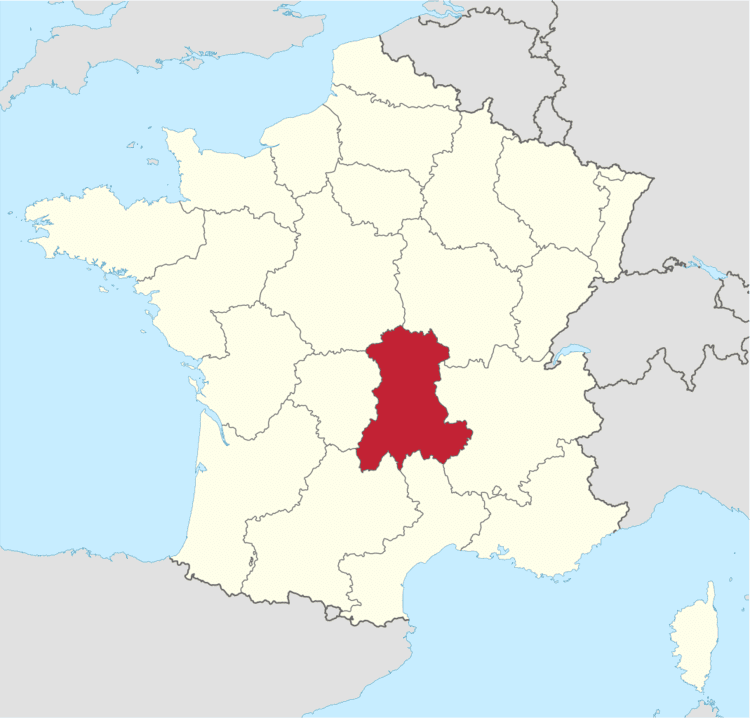 Therefore, the modern region of Auvergne is composed of the provinces of Auvergne, major part of Bourbonnais, and parts of Languedoc and Lyonnais. Auvergne has a surface area of 26,013 km² equivalent to 4.8% of Frances total surface area. Auvergne is one of the smallest regions in France. 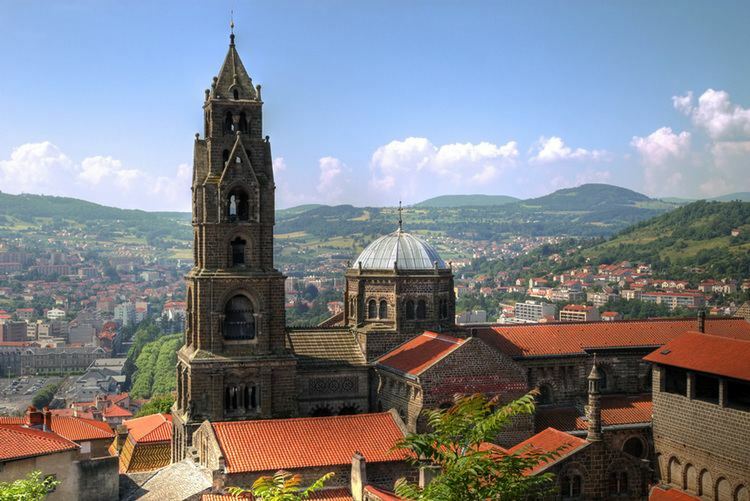 Auvergne is known for its mountain ranges and dormant volcanoes. Together the Monts Dore and the Chaine des Puys include 80 volcanoes. The Puy de Dome is the tallest volcano in the region with an altitude of 1,465 m. The Sancy Massif in the Monts Dore is the highest point in Auvergne (1,886 m). The northern region is covered in hills while the southern portion is mountainous and dotted with pastures. The Domanial Forest of Troncais covers nearly 11,000 hectares (27,170 acres)and is the largest oak forest in Europe. There are two major rivers in Auvergne. The Loire, which runs through the southeast and borders the northeast, and the Allier which runs from north to south down the center of Auvergne with branches going east and west. Over many years the Allier river has created what are known as the Allier gorges. Auvergne has about 50 freshwater ponds and lakes. Some are high in the mountains and have volcanic origins. Guery Lake is the highest lake in Auvergne. Auvergne is bordered to the east by the Rhone-Alpes region, to the south by the Languedoc-Roussillon and Midi-Pyrenees regions, to the north by the Centre and Burgundy regions, and to the west by the Limousin region. The region is predominantly agricultural with tourism slowly becoming more important. Cows are much in evidence and are used both for meat and for milk, which is made into a number of well-known cheeses: Bleu dAuvergne, Cantal, Fourme dAmbert and Saint-Nectaire. The 2002 film, To Be and to Have (Etre et avoir), documents one year in the life of a one-teacher school in rural Saint-Etienne-sur-Usson, Puy-de-Dome, Auvergne.